Want more power and higher top speeds? Consider the 2019 Ford Flex1, boasting 55 more horses than the 2019 Chevrolet Traverse3. The 2019 Ford Flex's increased torque - 3501 lb.-ft. vs. 2952 lb.-ft. - can mean the difference between easy going and a sluggish ride. 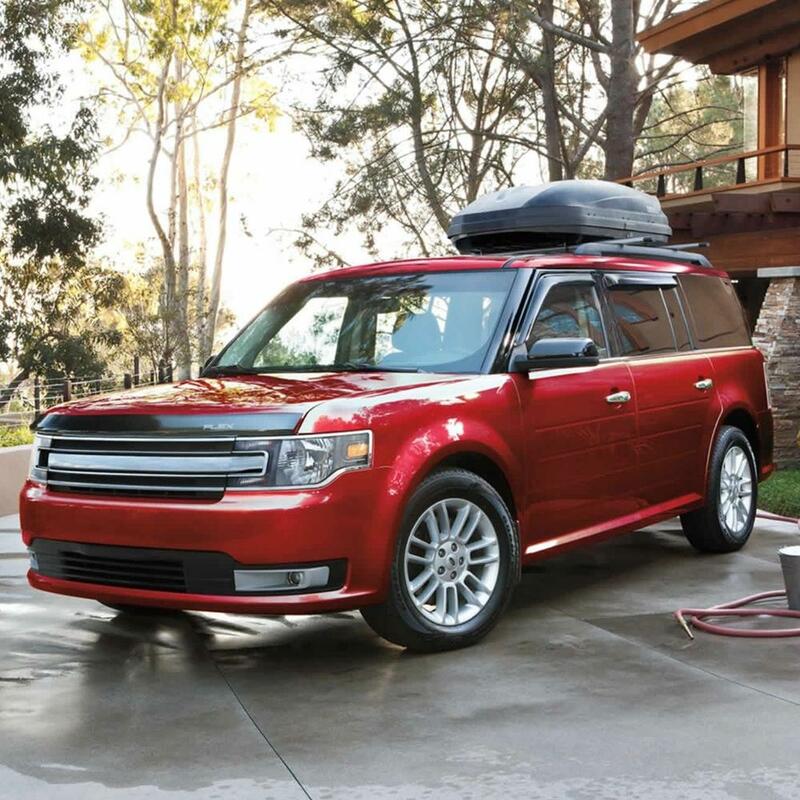 The 2019 Ford Flex4 is so confident in their materials and workmanship, they'll pay for the cost of perforation repairs for 2 years longer than the 2019 Chevrolet Traverse3 - quite a consideration for drivers who live in climates where corrosion is a risk. 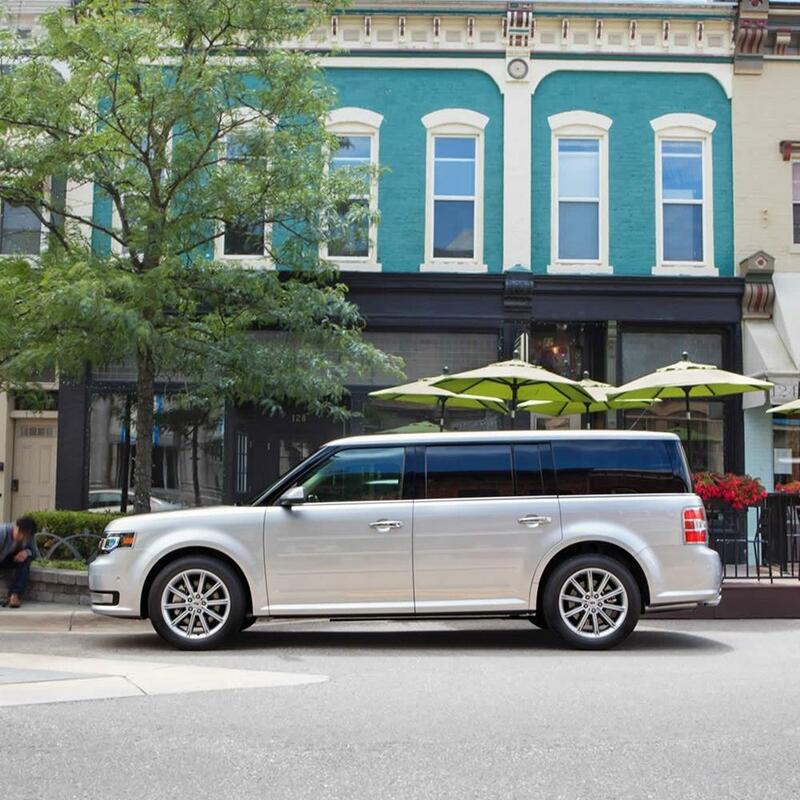 The 2019 Ford Flex offers all of the features, efficiency, performance, and safety you've come to expect, at an MSRP you'd never expect: $30,5754. 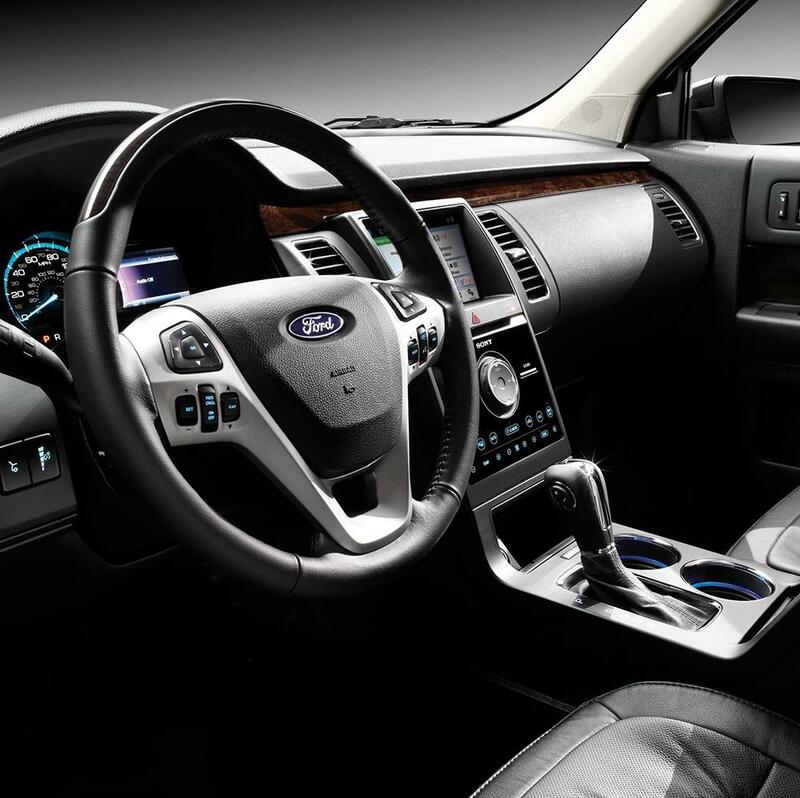 The refinement and luxury of leather seating is a standard feature in the 2019 Ford Flex1, but it's only available as an add-on option in the 2019 GMC Acadia2. Want more power and higher top speeds? Consider the 2019 Ford Flex3, boasting 55 more horses than the 2019 GMC Acadia4. The 2019 Ford Flex's increased torque - 3503 lb.-ft. vs. 2714 lb.-ft. - can mean the difference between easy going and a sluggish ride. 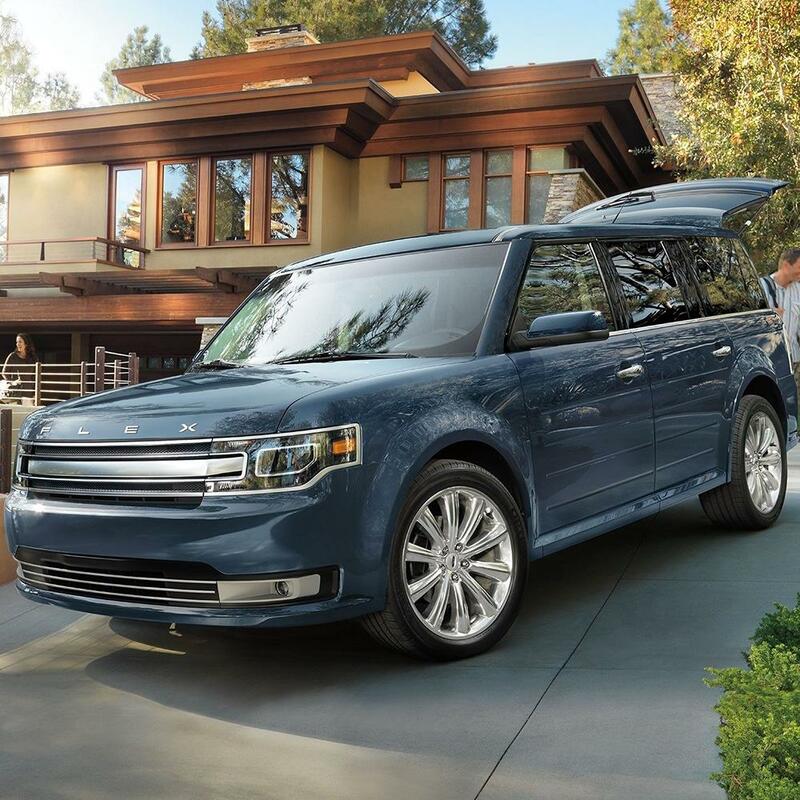 Enjoy the increased safety, fuel economy, and yes, fun, of the 2019 Ford Flex's3 optional turbocharged engine. Sadly, turbo isn't an option on the 2019 GMC Acadia. Tired of hunching over the steering wheel, or scooting the driver's seat all the way back? No worries. The 2019 Ford Flex5 offers 2 more inches of combined front head and leg room than the 2019 GMC Acadia6, making the awkward hunch-back driving pose a thing of the past. 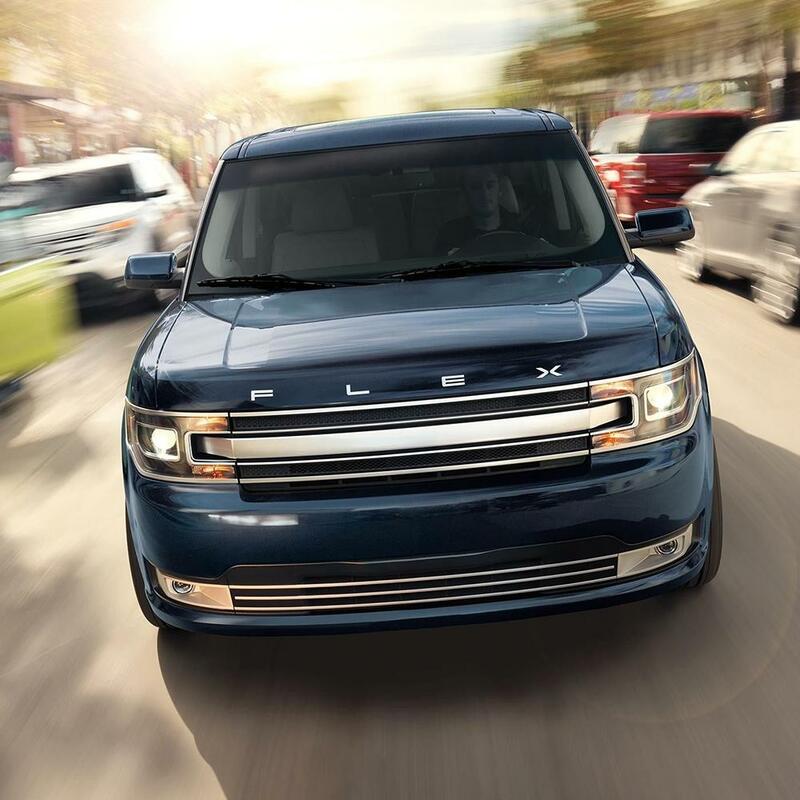 The 2019 Ford Flex's5 lower ground clearance, 55 vs. 76, means a lower center of gravity and more stability. 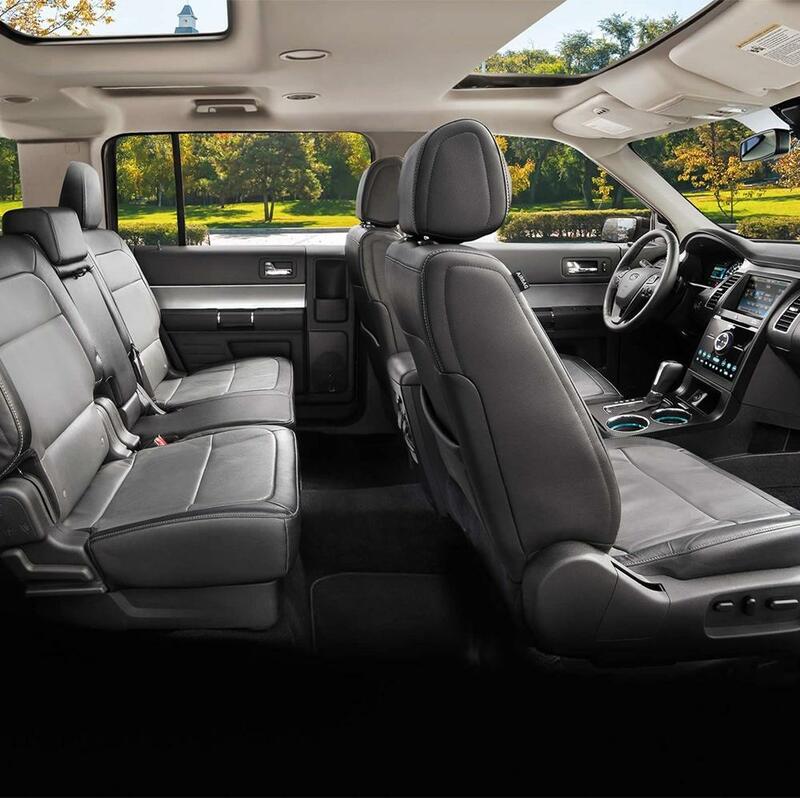 Offering 2 more inches in combined rear head and rear leg room than the 2019 GMC Acadia6, the 2019 Ford Flex5 is roomy enough for even the tallest of your passengers to travel in comfort. Bye-bye cramped "airplane-legs," hello rear passenger comfort. The 2019 Ford Flex's5 wider wheelbase can mean greater stability. How much more stability? A noteworthy 5 inches' worth. Is it possible to get increased visibility while using less energy? With the HID Headlights that come standard on the 2019 Ford Flex1, the answer is yes. On the 2019 Honda Pilot, those brilliant, energy-efficient HID headlights are a pricey add-on. Want more power and higher top speeds? Consider the 2019 Ford Flex2, boasting 85 more horses and 12 more horses per ton than the 2019 Honda Pilot3. The 2019 Ford Flex's2 increased torque - 3502 lb.-ft. vs. 2623 lb.-ft. - can mean the difference between easy going and a sluggish ride. 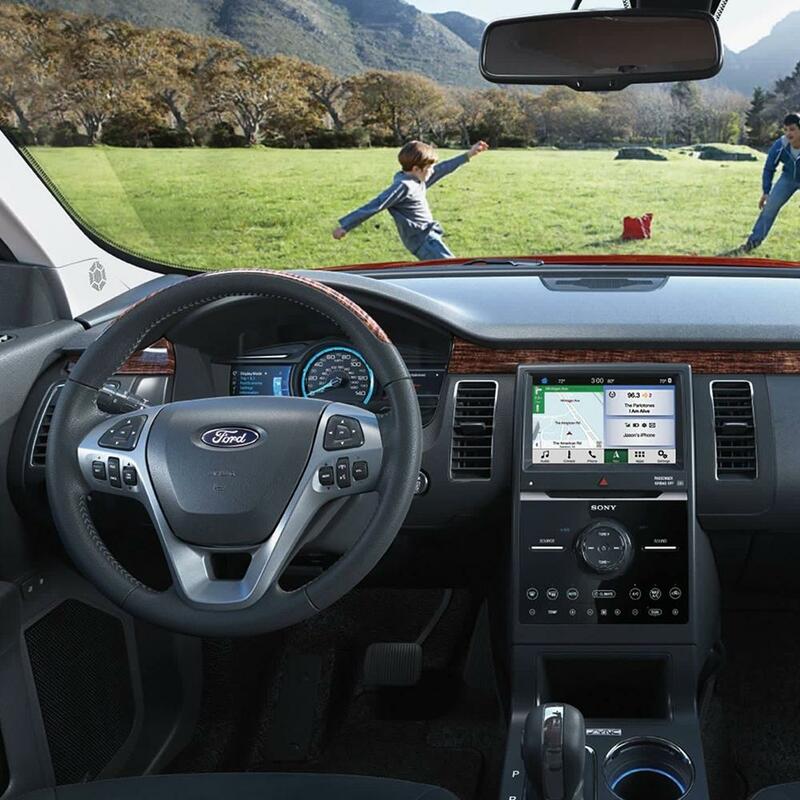 Enjoy the increased safety, fuel economy, and yes, fun, of the 2019 Ford Flex's2 optional turbocharged engine. Sadly, turbo isn't an option on the 2019 Honda Pilot. Tired of hunching over the steering wheel, or scooting the driver's seat all the way back? No worries. The 2019 Ford Flex4 offers 2 more inches of combined front head and leg room than the 2019 Honda Pilot3, making the awkward hunch-back driving pose a thing of the past. The 2019 Ford Flex's4 wider wheelbase can mean greater stability. How much more stability? A noteworthy 6 inches' worth. In the very unlikely event you'll need it, help is just a phone call away, 24 hours a day, 7 days a week, with the 2019 Ford Flex's4 Roadside Assistance, standard for 2 years longer than 2019 Honda Pilot3. Is it possible to get increased visibility while using less energy? With the HID Headlights that come standard on the 2019 Ford Flex1, the answer is yes. On the 2019 Toyota Highlander, those brilliant, energy-efficient HID headlights are a pricey add-on. Want more power and higher top speeds? Consider the 2019 Ford Flex2, boasting 59 more horses and 12 more horses per ton than the 2019 Toyota Highlander4,3. The 2019 Ford Flex's2 increased torque - 3502 lb.-ft. vs. 2633 lb.-ft. - can mean the difference between easy going and a sluggish ride. 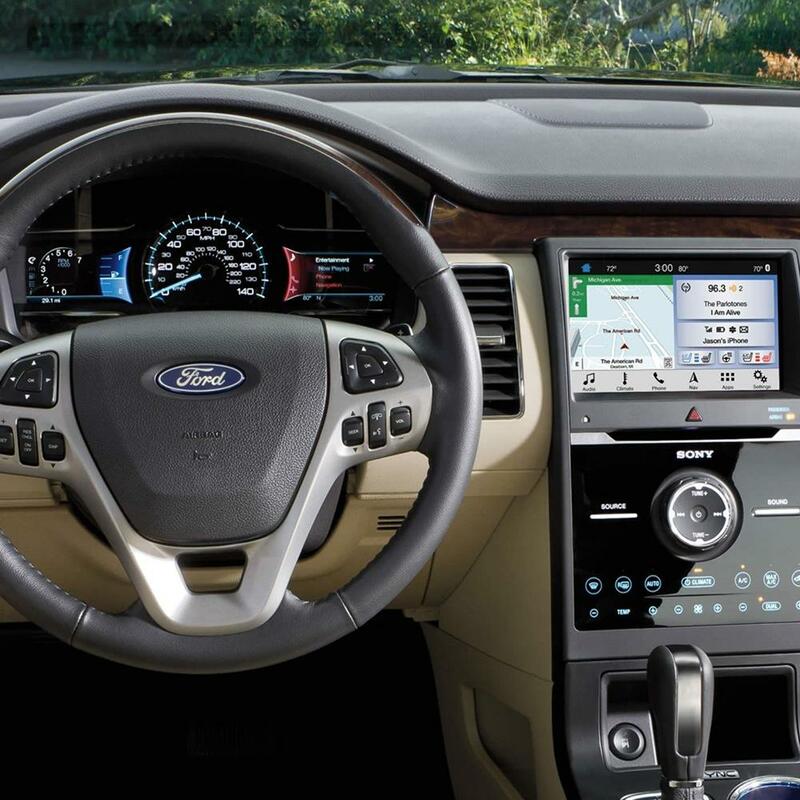 Enjoy the increased safety, fuel economy, and yes, fun, of the 2019 Ford Flex's2 optional turbocharged engine. Sadly, turbo isn't an option on the 2019 Toyota Highlander. Tired of hunching over the steering wheel, or scooting the driver's seat all the way back? No worries. The 2019 Ford Flex5 offers 2 more inches of combined front head and leg room than the 2019 Toyota Highlander6, making the awkward hunch-back driving pose a thing of the past. The 2019 Ford Flex's5 lower ground clearance, 55 vs. 86, means a lower center of gravity and more stability. 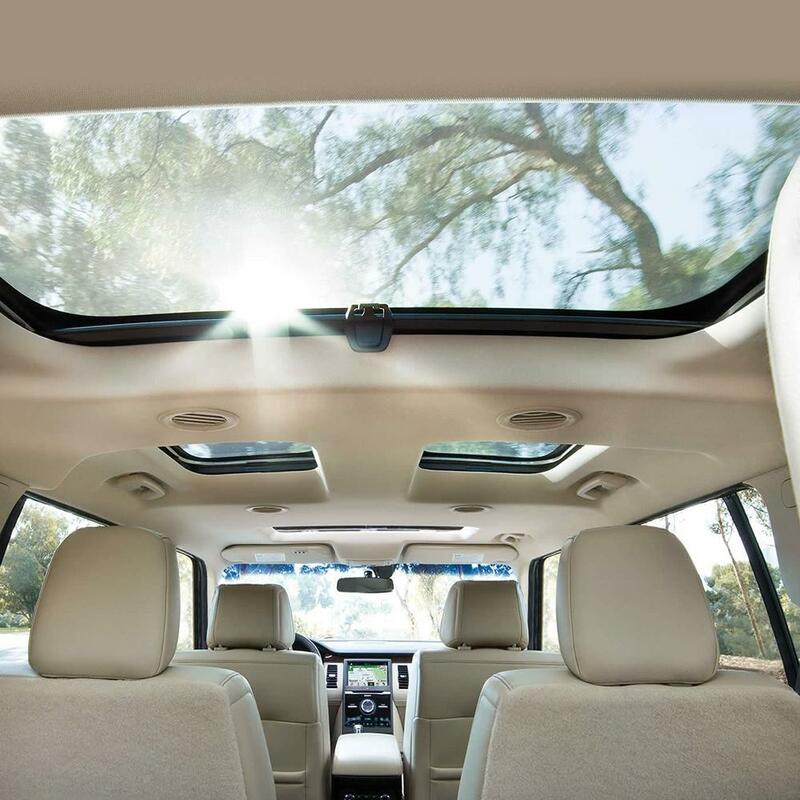 Offering 2 more inches in combined rear head and rear leg room than the 2019 Toyota Highlander6, the 2019 Ford Flex5 is roomy enough for even the tallest of your passengers to travel in comfort. Bye-bye cramped "airplane-legs," hello rear passenger comfort. The 2019 Ford Flex's5 wider wheelbase can mean greater stability. How much more stability? A noteworthy 8 inches' worth. 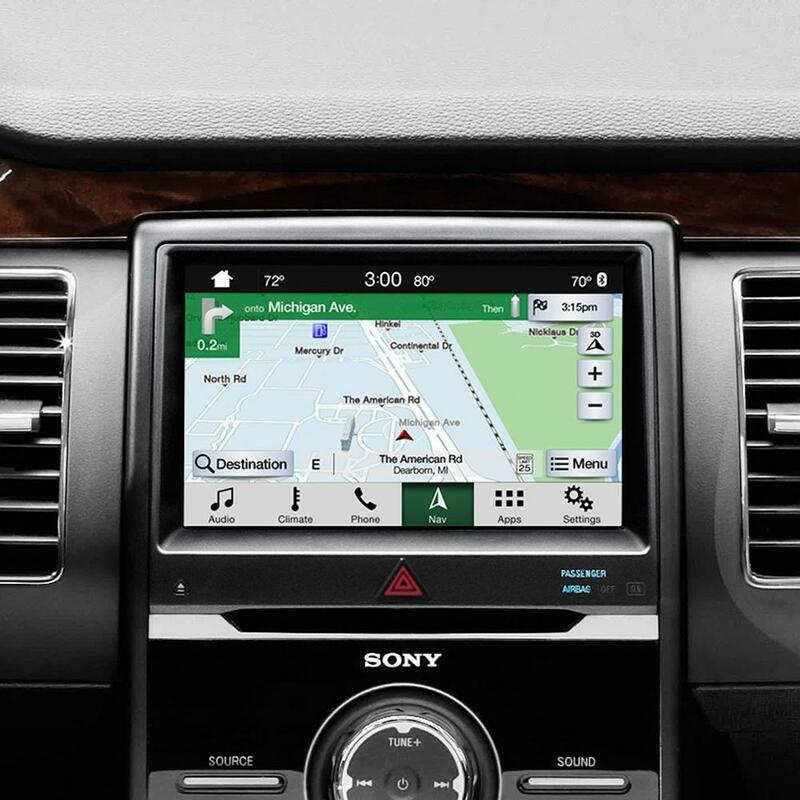 In the very unlikely event you'll need it, help is just a phone call away, 24 hours a day, 7 days a week, with the 2019 Ford Flex's5 Roadside Assistance, standard for 3 years longer than 2019 Toyota Highlander8.